The major objective of this report is to analysis General Banking and Foreign Exchange Activities of Bank Asia Limited. General objectives of this reports are to acquaint with day–to–day functioning of service oriented banking business, to have practical exposure in banks that will help a lot to understand the future courses of the program, to be familiar with day to day functioning and service offered by a commercial bank, to observe and analyze the performance of the specific branch and the bank as a whole and to make a bridge between the theories and practices on banking operations. The main purpose of this report is about is to explore the deposit mobilization activities of National Bank Ltd of Dhanmondi Branch. To be familiar with day to day functioning and service offered by a commercial bank. To observe and analyze the performance of the specific branch and the bank as a whole. To make a bridge between the theories and practices on banking operations. To find out the internal and external lacking in the daily operation that would help to National Bank Limited for more progress. To present an overview of National Bank Ltd.
To appraise the performance of National Bank Ltd.
To apprise financial performance of National Bank Ltd.
To identify the problems of National Bank Ltd.
To recommend/ remedial measures of the development of National bank Ltd.
Banking is the backbone of the national economy. All sorts of economic & financial activities revolve round the axis of the bank. As the industry produces goods & commodities, so does the banks create & control the money market & promotes the formation of the capital. From the point of view banking a technical profession can be termed as industry. Services to its customers are the products of the banking industry besides being a pivotal factor in promoting capital formation in the country. As all economic & fiscal activities revolve round this important industry, the role of banking can hardly be over emphasized. Circumstances being such, it becomes imperative to find out the role of banks now playing in the country & analyze its operational aspects so as to ascertain the importance of this fragile financial sector & its overall impact on the national economy. To do this a through study as to its distribution, expansion & contribution is essential to comprehend its past, present & future bearings for the growth & development of the banking sector of the country. In global context, the role of banks is far reaching & more penetrating in the economic & fiscal discipline, trade, commerce, industry, export & import et5c all are carried through the banks. Banks are the only media through which the international trade & commerce are being carried out .Moreover the entire credit transaction, both national & international is done through the banks. National Bank Limited was born as the first hundred percent Bangladeshi owned Bank in the private sector. From the very inception it is the firm determination of National Bank Limited to play a vital role in the national economy. We are determined to bring back the long forgotten taste of banking services and flavors. We want to serve each one promptly and with a sense of dedication and dignity. The then President of the People’s Republic of Bangladesh Justice Ahsanuddin Chowdhury inaugurated the bank formally on March 28, 1983 but the first branch at 48, Dilkusha Commercial Area, Dhaka started commercial operation on March 23, 1983. The 2nd Branch was opened on 11th May 1983 at Khatungonj, Chittagong. At present, NBL has been carrying on business through its 106 branches spread all over the country. Besides, the Bank has drawing arrangement with 415 correspondents in 75 countries of the world as well as with 37 overseas Exchange Companies located in 13 countries. NBL was the first domestic bank to establish agency arrangement with the world famous Western Union in order to facilitate quick and safe remittance of the valuable foreign exchanges earned by the expatriate Bangladeshi nationals. NBL was also the first among domestic banks to introduce international Master Card in Bangladesh. In the meantime, NBL has also introduced the Visa Card and Power Card. The Bank has in its use the latest information technology services of SWIFT and REUTERS. NBL has been continuing its small credit programme for disbursement of collateral free agricultural loans among the poor farmers of Barindra area in Rajshahi district for improving their lot.Alongside banking activities, NBL is actively involved in sports and games as well as in various Socio-Cultural activities. Upto 2008, the total number of employee of NBL stood at 2,737. Since the very beginning, the Bank exerted much emphasis on overseas operation and handled a sizeable quantum of homebound foreign remittance. The Bank established extensive drawing arrangement network with Banks and Exchange Companies located in important countries of the world. Expatriates Bangladeshi wage earners residing in those countries can now easily remit their hard-earned money to the country with confidence, safety and speed. The Bank earned a profit before tax of Tk. 2,828.80 million for 2008, a growth of Tk. 793.70 million or 39 percent, over the normalized profit before tax for 2007.The Bank’s profit after tax and provision for 2008, at Tk. 1,517.40 million reflected an even stronger growth of 22.51 percent or Tk. 1,238.10 million, over the normalized profit after tax for 2007. In 2008 Bank’s revenue was Tk. 8,893.10 million, which was up by Tk. 1,710.50 million or 23.81 percent. The bank’s total loans and advances portfolio was Tk.49, 665.10 million at the end of December 2008 compared to Tk.36, 475.70 million at the end of December 2007. The deposit base of the bank registered a growth of 25.51 percent in the reporting year over the last year and stood at Tk. 60,195.20 million in December 2008. This was achieved with better management of interest margins in volatile market conditions and adequate Balance Sheet growth during the period. Being a regular tax payer, we have made a direct contribution to Government Exchequer of Tk. 761.70 million in the calendar year 2008 against Tk. 449.70 million in previous year registering a staggering growth of 69.38 percent. National Bank, has now acquired strength and expertise to support the banking needs of the foreign investors. NBL stepped into a new arena of business and opened its Off Shore Banking Unit at Mohakhali to serve the wage earners and the foreign investors better than before. National Bank, since its inception, was aware of complying with Corporate Social Responsibility. In this direction, we remain associated with the development of education, healthcare and sponsored sports, culture and during the times of natural disasters like floods, cyclones, landslides we have extended our hand to mitigate the sufferings of victims. The bank established the National Bank Foundation in 1989 to remain involved with social welfare activities. The foundation is running the NBL Public School & College at Moghbazar where present enrolment is 1140. Besides awarding scholarship to the meritorious children of the employees, the bank has also extended financial support for their education. It provided financial support to Asiatic Society of Bangladesh at the time of their publication of Banglapedia and observance of 400 years of Dhaka City. Transparency and accountability of a financial institution is reflected in its Annual Report containing its Balance Sheet and Profit & Loss Account. In recognition of this, NBL was awarded Crest in 1999 and 2000, and Certificate of Appreciation in 2001 by the Institute of Chartered Accountants of Bangladesh. A team of highly qualified and experienced professionals headed by the Managing Director of the Bank who has vast banking experience operates bank and at the top there is an efficient Board of Directors for making policies. National Bank Limited offers customers a hassle free and low charges savings account through the branches all over Bangladesh. Interest rate of 6.00% on average monthly balance. Maintenance charge yearly Tk. 400. Standing Instruction Arrangement are available for operating account. 2 copies of recent photograph of account holder. Valid photocopy of Voter ID Card. National Bank Limited offers customers current deposit facility for day-to-day business transaction without any restriction. Minimum maintenance charge yearly Tk. 800. Easy access to our other facilities. National Bank Limited offers interest on customer’s short term savings and gives facility to withdraw money any time. National Bank Limited offers fixed term savings that will scale up your savings amount with the time. Any amount can be deposited. Premature encashment facility is available. Overdraft facility available against term receipt. 1 copy of recent photograph of account holder. National Bank Limited offers monthly savings scheme for it’s retail customers. Monthly amount can be 500 and multiple of it. Premature encashment is available for urgent need. Loan facility can be available up to 80% against NMS account balance. Standing instruction facility can be available to auto transfer installment to NMS account. 1 copy of your recent photograph. National Bank Limited gives opportunity to maintain foreign currency account through it’s Authorized Dealer Branches. Bangladesh nationals residing abroad or Foreign nationals residing abroad or Bangladesh and foreign firms operating in Bangladesh or abroad or Foreign missions and their expatriate employees. No initial deposit is required to open the account. Interest will be offered 1.75% for US Dollar Account , 3.00 % for EURO Account and 3.25% for GBP Account. They will get interest on daily product basis on the credit balance (minimum balance of US$ 1,000/- or GBP 500/- at least for 30 days) maintaining in the account. ID of residence in abroad. National Bank Limited gives opportunity to maintain foreign currency account through its Authorized Dealer Branches. All non – resident Bangladeshi nationals and persons of Bangladesh origin including those having dual nationality and ordinarily residing abroad may maintain interest bearing NFCD Account. NFCD Account can be opened for One month, Three months, Six months and One Year through US Dollar, Pound Starling, Japanese Yen and Euro. The initial minimum amount of $1000 or 500 Pound Starling or equivalent other designated currency. Interest is paid on the balance maintain in the Account. This interest is tax free in Bangladesh. NBL offers overdraft facility for corporate customers for day-to day business operations. Low charges in overdraft account maintenance. Facility is available against deposit receipt or mortgage property. Others necessary documents as per loan requirement. National Bank Limited offers leasing facility for clients with easy installment facility. Gas, Diesel generator and Power plant. Easy handover after leasing period. NBL offers home loan facility for purchasing flats or construction of house. Financing amount extends up to 70% or Tk. 75, 00,000 which is highest of total construction cost. Grace period available up to 9 months in flat purchase or 12 months in construction. No application or processing fee. Any Bangladeshi citizen or NRB, who is capable of repayment, can apply for this loan. NBL offers financial support to small businessmen/enterprise with new products named “Festival Small Business Loan” and “NBL Small Business Loan” has been introduced in the Bank. Maximum Tk.3.00 lac (Festival Scheme) and Maximum Tk.5.00 lac (Small Business Scheme). Any genuine and small businessmen/ entrepreneurs/enterprise having honesty, sincerity, and integrity. NBL offers consumer credit facility for retail customers. NBL provides comprehensive banking services to all. types of commercial concerns such as in the industrial sector for export-import purpose as working capital, packing credit, trade finance, Issuance of Import L/Cs,Advising and confirming Export L/Cs. – Bonds and Guarantees. NBL Credit Card is accepted in many merchant outlet around the world. Our wide range of merchants include hotels, restaurants, airlines, & travel agents, shopping malls and departmental stores, hospitals & diagnostic centers, jewelers, electronics & computer shops and many more. NBL Power Card is the first debit card for which you don’t have to maintain any account with our any branch. It is a Pre-paid Card. Annual / Renewal Fee Tk. 200/- only. May be issued and refilled from RFCD/FC Account. Accepted at all VISA POS merchants. Cash withdraw at all ATM booths bearing VISA and Q-cash logo (Except HSBC in Bangladesh). Drawing of Cash: (i) from NBL ATMs – Free of charges (ii) From ATMs under Q-cash network- Tk.10.00 per transaction (iii) From other ATM – Tk. 100.00 per transaction. Cash Withdraw Fee (aboard)-2.00% on the cash drawn amount or US$2.00, whichever is higher. Only 1% loading fee against both International and Local Power Card at the time of Refilling. Yearly Tk.100 for enrollment of SMS service. 2 copies of your recent photograph. Bank is the life of modern economy. The survival of a bank depends on how efficiently it can manage it customers with its service & facilities through its Deposit Mobilization. The major work of Deposit Mobilization is to collect deposit from the people it serves & invest that money in various sectors. All of the main activities of a bank run through the deposit it collects from its clients. Such as loan providing to its clients, investing in different sectors, providing interest & so forth. No bank can run without efficient Deposit Mobilization. Today’s business world is depended on banks of each its activities. People want the security of their money, they need a intermediary for payment & even they need to have profit with their idle money. All these activities are entertained by banks through Deposit Mobilization. Bank does not only provide service to the business people but also to the student & other categories through different services. From the study, I have made the analysis of some discussion among various accounts of deposits & loan & also its impact on the customer satisfaction level of National Bank Ltd, Dhanmondi Branch, Dhaka. From the observation of the current account’s graph we find that the amount of current account is TK.25, 85,000 /= & the number of account opening is 8 in January, 2009 which increase gradually in the month of June up to TK. 42,70,000/= & number of account is 25 but suddenly the amount of account and number of account is decrease to TK.18,50,000/= & 6 in the month of April,2009.The reason for decreasing amount of account & number of account at that time there are few customer who open current account in the month of April. Where we also find that the total accounts open in last six months is 84 & the amount is TK.1, 81, 72,000.00/=which shows there are averagely 14 accounts open & average amount is TK.30, 28,666.67/=in every month. From the observation of the savings account’s graph we find that the amount of savings account is TK.19, 23,000 /= & the number of account opening is 52 in January, 2009 which increase gradually in the month of June up to TK. 89,37,000/= & number of account is 126 but suddenly the amount of account and number of account is decrease to TK.14,50,000/= & 40 in the month of April,2009.The reason for decreasing amount of account & number of account at that time there are few customer who open current account in the month of April & also the bank decrease its interest rate on that month. Where we also find that the total accounts open in last six months is 447 & the amount is TK. 2, 25, 39,000.00/=which shows there are averagely 74.5 accounts open & average amount is TK. 37, 56,500.00/= in every month. From the analysis of the short term deposit’s graph we find that the amount of short term deposit account is TK.1,10,00,000 /= & the number of account opening is 15 in January, 2009 which increase gradually in the month of June up to TK. 5,00,00,000/= & number of account is 26 but suddenly the amount of account and number of account is decrease to TK.83,00,000/= & 8 in the month of April,2009.The bank provides low interest rate on short term deposit at that time & that’s why the amount of account & number of account also decrease at the month of April,2009. Where we also find that the total accounts open in last six months is 101 & the amount is TK. 12, 11, 00,000.00/=which shows there are averagely 16.83 accounts open & average amount is TK. 2, 01, 83,333.33/= in every month. From the study of the monthly savings scheme’s graph we find that the amount of monthly savings scheme’s account is TK.12,25,000 /= & the number of account opening is 8 in January, 2009 which increase dramatically in the month of June up to TK. 6,34,49,000/= & number of account is 15 where suddenly the amount of account and number of account is decrease to TK.7,90,000/= & 7 in the month of April,2009.The bank provides low interest rate on monthly savings scheme at that time & that’s why the amount of account & number of account also decrease at the month of April,2009. Where we also find that the total accounts open in last six months is 64 & the amount is TK. 12, 7, 99, 86,000.00/= which shows there are averagely 10.67 accounts open & average amount is TK. 1, 33, 31,000.00/= in every month. From the study of the FDR’s (12 Months) graph we find that the amount of FDR’s (12 Months) account is TK.1,17,70,000 /= & the number of account opening is 20 in January, 2009 which increase dramatically in the month of June up to TK. 2,07,10,000/= & number of account is 39 where suddenly the amount of account and number of account is decrease to TK.83,00,000/= & 12 in the month of March,2009.The bank provides low interest rate on monthly savings scheme at that time & that’s why the amount of account & number of account also decrease at the month of March,2009. Where we also find that the total accounts open in last six months is 155 & the amount is 7, 96, 57,500.00/= which shows there are averagely 25.83 accounts open & average amount is TK. 1, 32, 76,250.00/= in every month. From the study of the FDR’s (3 Months) graph we find that the amount of FDR’s (3 Months) account is TK.88,10,000 /= & the number of account opening is 16 in January, 2009 which increase dramatically in the month of June up to TK. 1,23,00,000/= & number of account is 29 where suddenly the amount of account and number of account is decrease to TK.13,42,000/= & 13 in the month of February,2009.At that time there are few customer who open FDR(3 Months) in the month of February & that’s the reason for decreasing the FDR(3 Months) account in February,2009. Where we also find that the total accounts open in last six months is 123 & the amount is 5, 21, 42,000.00/= which shows there are averagely 20.50 accounts open & average amount is TK. 86, 90,333.33/= in every month. From the critical study of the loan’s graph we find that the loan provided by the bank is TK.14,47,000/= against security of TK.18,51,000/= in January,2009 which gradually increase up to TK.11,02,31,000/= against security of TK.15,30,97,000/= in the month of June,2009.From the study of first four month we can see that bank provides few loans rather than last two months because bank charge high rate of interest at first four months and that’s why customer didn’t agree to get loan at that time. We also find that the total loan account open in last six months is 112 & the amount of loan is 17, 44, 67,000.00/= against the security of TK. 26, 03, 34,000.00/= which shows there are averagely 18.67 loan accounts open & average loan amount is TK. 2, 90, 77,833.33/= against the security of TK.4, 33, 89,000.00/= in every month. The bank should provide online services. 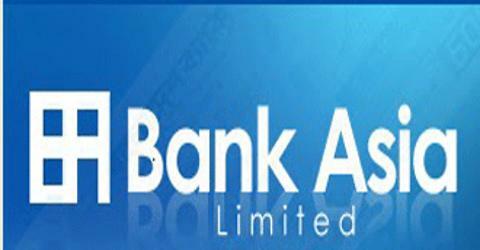 Bank should provide debit card within seven days after the application is dropped to the bank. Bank should increase the money limit on the credit cards. Bank should reduce their services charges according to various services. The bank environment is quite good and secured. The bank should start evening banking. The employees of the bank are very cooperative & helpful. From the critical observation of the graph we find that the customers can get loan from the bank because the maximum customers are satisfied to the procedures about loans where some people stand in neutral position. So bank should flexible their loan process to turn these neutral customers to satisfied customers. Here we can see there is various comments on getting loan from NBL.Some people are satisfied, some people are neutral and few people are disagree about this matter. Bank should take some steps for their customers to provide loans in an easy way. The Satisfaction level on this subject is quite higher than the dissatisfaction level. So it is up to the bank to retain the level or even make it higher for along time. From the graph we can see that bank takes securities against loans and most of the customers are agree about this matter. So bank authority should give more concern about the securities against loans. In this graph we can see there is 50 – 50 position of the customers about this topic. Bank should reduce their interest rate against loans and by this process they can turn these dissatisfied customers into satisfied customers. In this graph maximum customers are preferred SOD (Security on Drift) where some people are not satisfied and some customers are neutral position because some customers want loans from bank without any securities. Bank should promote SOD & motivate their respective loan customers to get loan through SOD. From the serious observation of the graph we find that customers are not facing any problems when they want to close the loan accounts. It is very positive side of NBL & the authority should carry it on. Most of the customers are satisfied with the bank’s loan services where some customers are in neutral position. Bank should give more concern about this subject & satisfied those customers who are in neutral position. Bank should reduce the interest rate on various types of loans. SOD (Security on Drift) is a very good loan system of NBL. The bank should provide education loans, micro credit loans etc. Bank’s employees are very friendly especially who working in loan section. Bank should reduce the amount of securities against various loans. The Loan services and procedures of NBL are quite good. The bank should increase the amount about various loan schemes. The charges of loan account should reduce by the authority. From the observation of various deposit accounts I find that the amount as well as the number of accounts is increasing dramatically day by day. In the month of April, 2009 the most accounts are decrease due to some reasons like rate of interest, account opening is low etc. We can see the performance of monthly savings scheme is very good than other deposit accounts. Other accounts like savings & short term deposit accounts are also appreciated. The authority should more concern about current and FDR accounts because the charts & graph shows that these two types of accounts increase but the level of increasing is not as like as other deposits accounts. The loan provided by the Dhanmondi branch is significantly increasing from last six months but the rate of increase is not sufficient. From the study of the chart & graph I find that the bank provide averagely TK.26,70,250/= from January to April but in last two months the average loan is increase & become TK.5,55,15,500/=.So the authority should give more concern to increase the bank loan. I interviewed 30 deposit customers & they think that the bank should provide online services, establish more ATM booths, reduce the processing time of application regarding various types of accounts, increase the money limit on credit card, reduce service charge etc. I also interviewed 10 loan customers & they suggest that the bank should give more emphasize on these matters like provide education loan, micro credit loans, reduce the amount of securities against loans, the rate of interest should decrease etc. Bank is the blood of present financial system. Deposit Mobilization is the bread & butter of any bank. The endurance of any bank depends on how competently it can administer its customers with its services & facilities through Deposit Mobilization. I have work with National Bank as an internee for three months & found many positive reasons of people trust on NBL.I have acquainted with the deposit mobilization procedure of the NBL as it was the part of my internship program. It is an institution which is not only serving people with quality & special service but also serving with great courage. For this reason, the report of NBL is drastically increasing from last year. The analysis shows that NBL has secured its position in the banking business of our country. The track record of NBL mentioned on the analysis is a proof of its tremendous success in banking business. The comparative analysis with some other banks verifies the competitiveness of deposit mobilization of NBL. However, people do trust on the officers & listen to their advices. The bankers also provide counseling to the clients who need to improve themselves financially. The deposit of NBL is increasing from its inception because people trust on the bank & the relationship with NBL maintains with its clients.Thus, I conclude basing on the analysis that the theme line of National Bank Ltd appropriately matches with the services it offers. The theme of National Bank Ltd is “A Bank for Performance with Potential”.